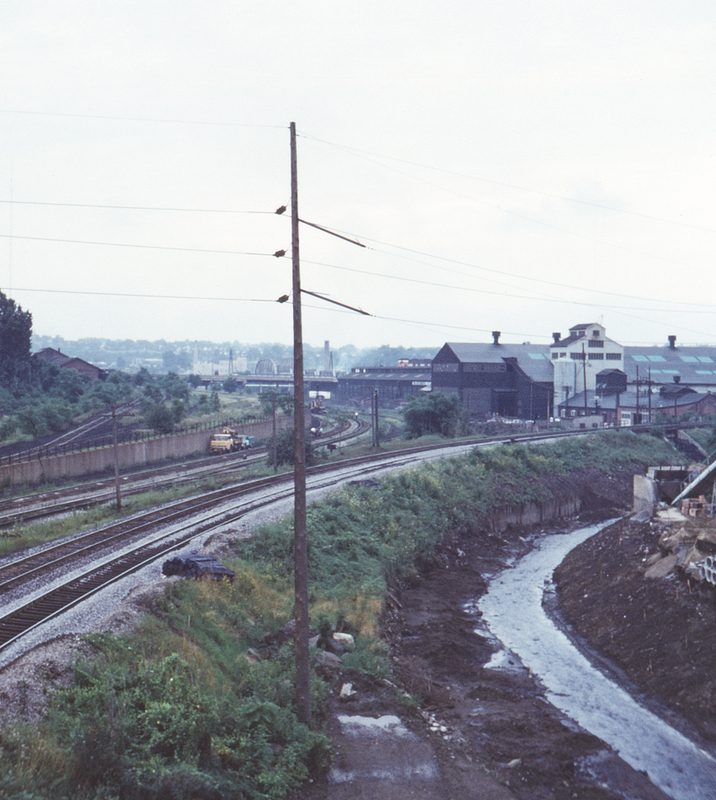 A view of the Erie and New York Central mainlines north out of Youngstown, seen looking south from the Oak Street bridge. The Erie main at right leads to Himrod Junction, while the New York Central line at left will pass the closed New York Central passenger station before connecting with Pittsburgh & Lake Erie trackage. At the far right is Crab Creek which both lines will follow north out of Youngstown. The track at far left ascending the hillside is an industrial spur.